Robs Webstek: King Louis Bonaparte Day ! 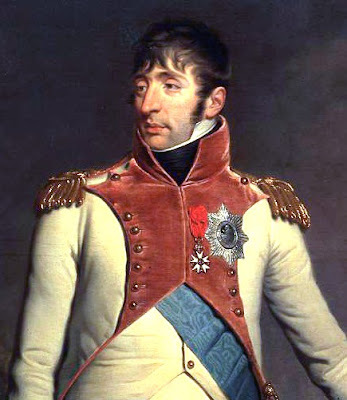 Louis Bonaparte (Lodewijk Napoleon) (September 2, 1778 – July 25, 1846) was King of Holland from 1806 until 1810. Before 1806 The Netherlands were a conglomeration of semi-independent nations. Louis centralized the government, introduced a single monetary unit, a museum of the arts, and many other worthy and valuable things. His bitchy wife Hortense gave him three sons, among others the future French emperor Napoleon III. Before and after his reign the Netherlands were governed by the family of Orange-Nassau. They covered up Louis roll in history; he still is hardly mentioned in schoolbooks. Louis Napoleon Bonaparte, King of Holland, a short time, already caused quite sure that Holland is one of the socially advanced countries of Europe was. As he entered at the time Dutch soil, he said: From now on I'm Dutch. He also defied the demands of his brother Napoleon I., for example, in the naval blockade against England. All this cost him the throne which Napoleon I. later regretted deeply, and he considered his biggest mistake. The Dutch people thanked him with a delegation of workers at his funeral. Thank you for your contribution, Stoessel!